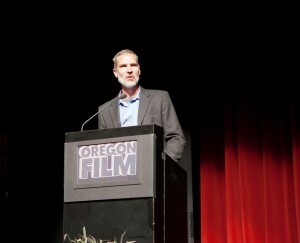 Jan - 16 | By: Oregon Film | no comments. At Oregon Film & Television’s Annual Meeting last night, we were able to honor some amazing Film Advocates who have been integral to the film and television industry. 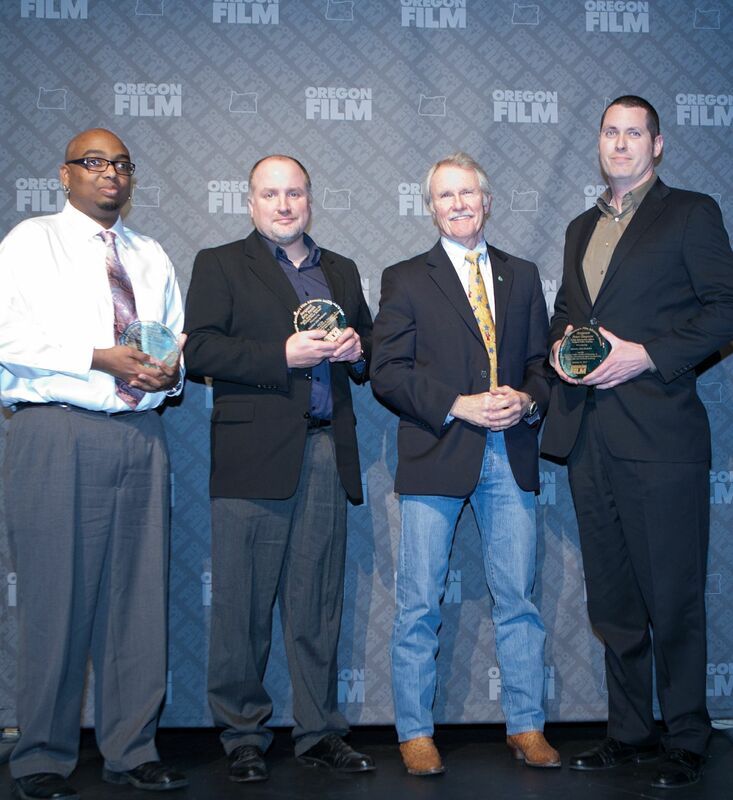 Steve Oster (Producer, “Grimm“) announced the Film Advocate Awards that were presented to Derrick Roberson, Sergeant Erin Smith, and Sergeant Peter Simpson by Governor Kitzhaber. Derrick Roberson, the Recreation Coordinator for Portland Parks and Recreation, operates as a communication liaison between Location Managers and the Portland Parks and Rec. staff. Derrick frequently processes permits for filming for Parks and Recreation as well as taking payments for PBOT. Recently he has designed an updated film permit application to make the process faster and easier for productions. Derrick understands the uniqueness of the film and TV industry and regularly goes above and beyond to accommodate permit requests, as well as being a strong film and TV advocate who frequently presents the industry perspective to Parks and Recreation decision-makers in a way that makes a shoot work for everyone. Sergeant Erin Smith, Traffic Division Motor Sergeant for the Portland Police Bureau, ensures streamlined bookings of officers, motorcycles and cars when film crews need them on set. Both officers provide the industry with fast and friendly responses to production requests, which usually demand a very short turnaround time. Both officers respect and understand that the film industry is fast-moving and that productions often have last-minute changes to original requests – their patience and support is commendable! The film and TV industry relies on people like this to help production succeed. Thank you.